This breakthrough technology does not use heat or any kind of “invasive” process but triggers the body to convert light energy into cell energy without thermal heat. 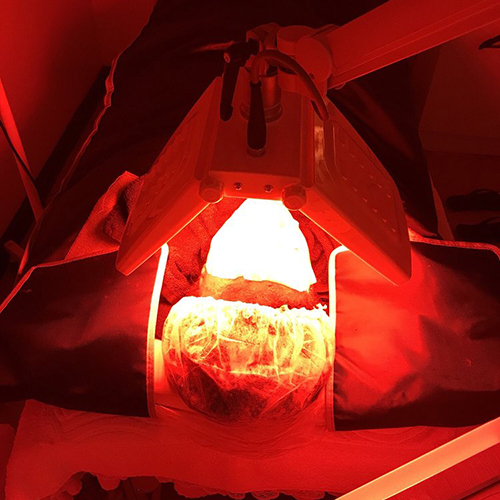 LED light therapy is non-invasive, causes no inflammation, and requires no special post-treatment procedures. IT is Safe for safe for home use or professional use. Lasers utilize a highly focused and coherent beam. Light from LEDs is not focused, is non-coherent, and generates no heat. LED Light Therapy is non-invasive, with no downtime. Requires no surgery, no harsh chemicals, no recovery time.